Araldite 2010-1 is a two component toughened epoxy adhesive. This advance material is fast curing, offers low shrinkage and will have high shear and peel strength. It is well suited for bonding a wide range of metals, glass, ceramics, rigid plastics, rubbers and most other materials. Part A is neutral and Part B is pale yellow. Once the two components are mixed together it will create a pale yellow thixotropic paste. Specific gravity of Araldite 2010-1 Adhesive is 1.16 and the viscosity at 77° F is 80,000 cP. Pot life of 100 gram of the epoxy paste at room temperature will be approximately 10 minutes. The flash point for Part A is less than 392° F and Part B is 257° F. Durability and strength of a bonded joint will be reliant on the proper treatment of the surfaces to be bonded. Mix ratio is 100 parts by volume of Araldite 2010-1 A to 100 parts by volume of Araldite 2010-1 B. Cure time to reach a lap shear strength greater than 145 psi will vary depending on temperature. At 73° F it will take 30 minutes to have a lss greater than 145 psi and at 140°F it will only take 5 minutes. The product can be applied manually or robotically to the pretreated and dry joint surfaces. A layer of adhesive 0.002 to 0.004 in thick will impart the greatest lap shear strength. Both joints need to be positioned together and secured as soon as the adhesive has been applied. The strongest and most durable joints are obtained by either chemically etching or mechanically abrading the degreased surface. 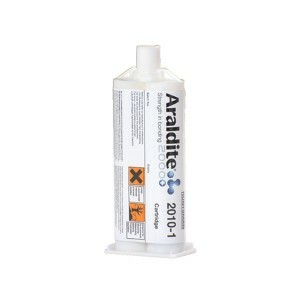 Araldite 2010-1 is available in cartridges incorporating mixers and can be applied as a ready to use adhesive. For more information on the sizing, contact Krayden and a certified representative will assist with any questions that you may have. It is suggested to read and understand the Araldite 2010-1 MSDS before use. Araldite 2010-1 Adhesive can be stored for up to 3 years at room temperature when it is stored in its tightly sealed container. The expiration date will be clearly printed on the label. When handling the epoxy, it is strongly recommended to wear personal protective equipment. It should be applied in a room with adequate ventilation because the epoxy may emit toxic vapors. If adequate ventilation is not available then wearing respiratory protection is strongly advised. Huntsman is an innovative company developing advance products every day. The amount of research and development Huntsman puts into manufacturing their product is what allows them to be industry leaders. Araldite 2010-1 is a two component, fast curing, low shrinkage, epoxy paste adhesive that was developed to bond a wide variety of substrates. 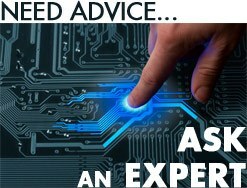 If more information is required on the product or you have questions on how to apply, contact Krayden and a technical representative will answer any questions that you may have. Araldite 2010-1 Technical Data Sheet.